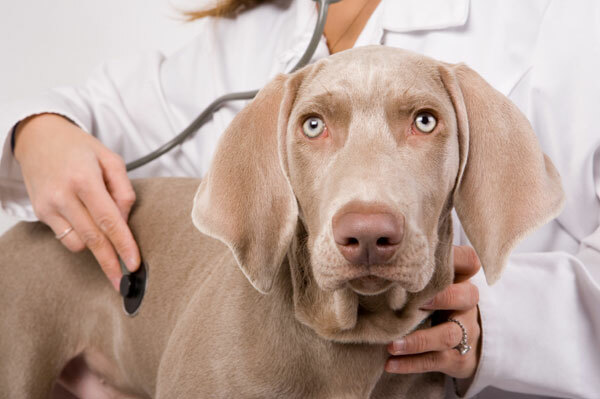 Do you have a rough time taking your dog to the Vet? People have often said to me they have delayed going to the vet because they have to literally drag their dog through the door. Once inside, the dog looks as if he can’t wait to get out of there and is shaking with anxiety. “It’s like he’s a completely different dog”. Well, there are some things that you can do to help your dog feel more comfortable when at the vet’s office. Instead of feeding you dog out of his bowl that day, feed him his kibble, piece by piece, while you walk up to the door of the vet’s office. Once inside, work on the entire repertoire of behaviors your dog has and reward him with his kibble. Keep his mind occupied by running through simple behaviors and rewarding them. The bigger rewards should come when in the actual evaluation room. When the doctor comes in, pop a treat into your dog’s mouth. When the doctor goes to examine your dog, treat throughout the examination. Pay your dog through the entire visit and he’ll realize it’s not so bad after all. Keep him busy with behaviors so he doesn’t he time to think about all the different, scary things around and then pay him throughout his visit with yummy treats or kibble. His feelings about the vet’s office will certainly change for the better and the next time around he may happily walk through that front door, no problem.